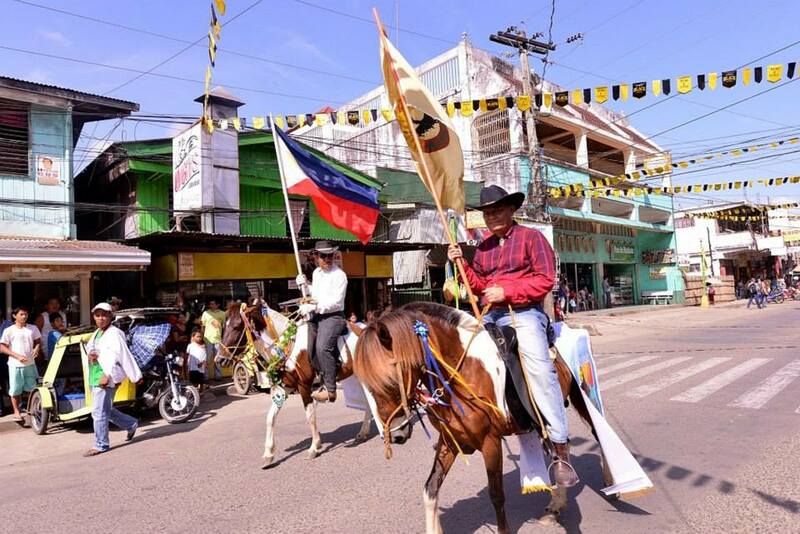 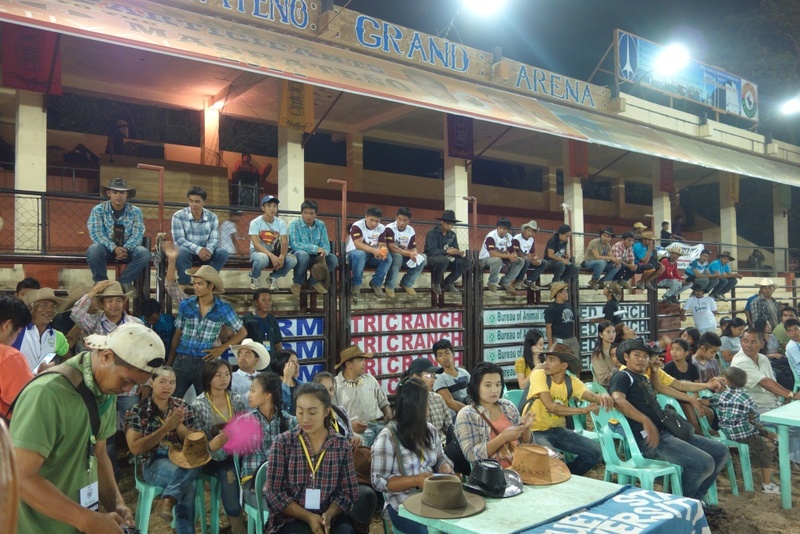 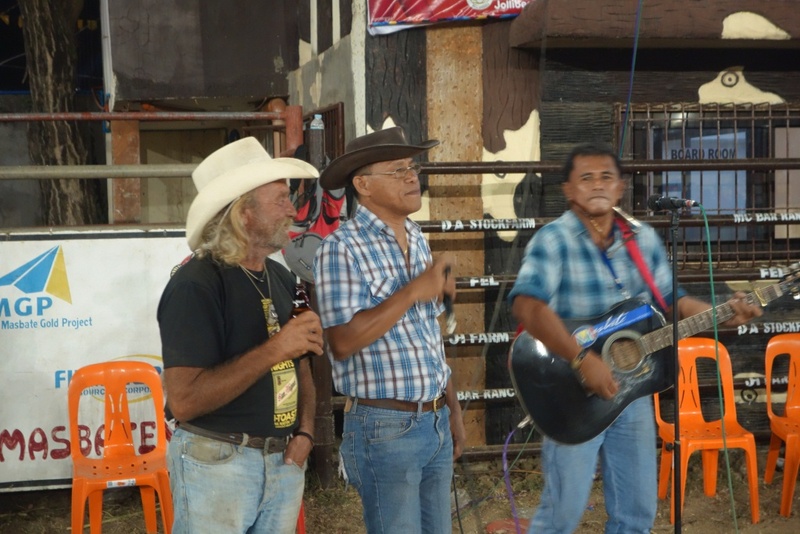 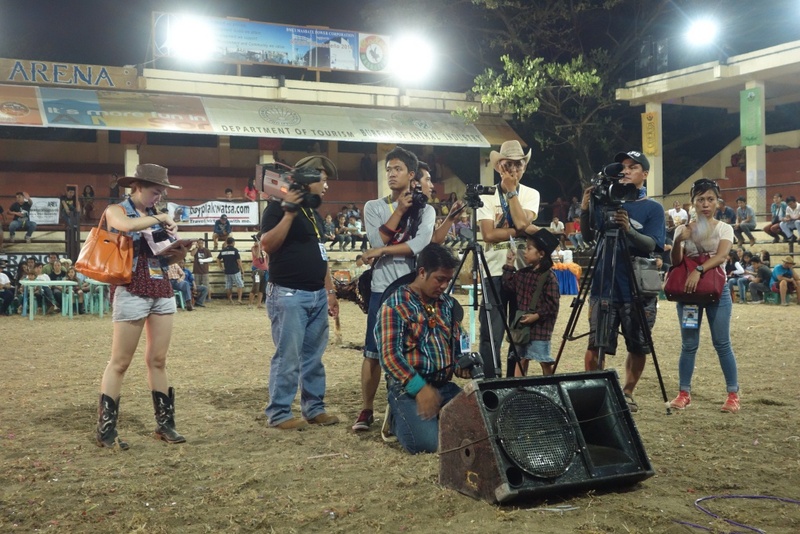 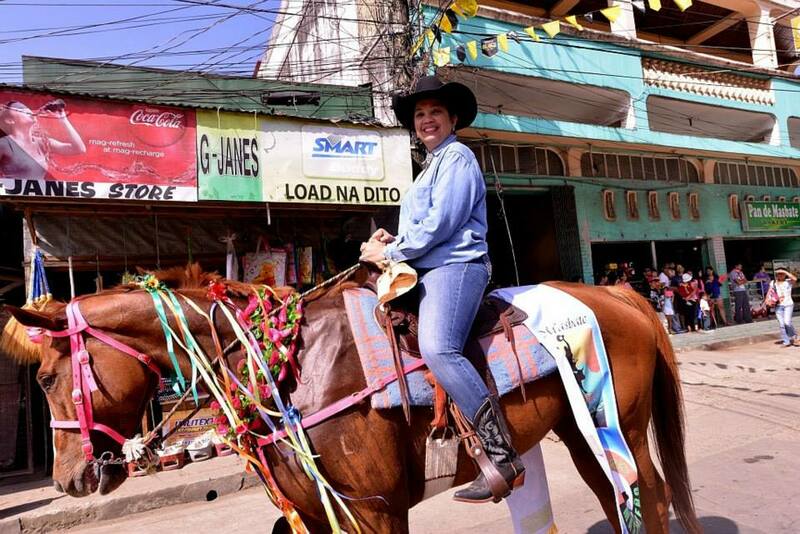 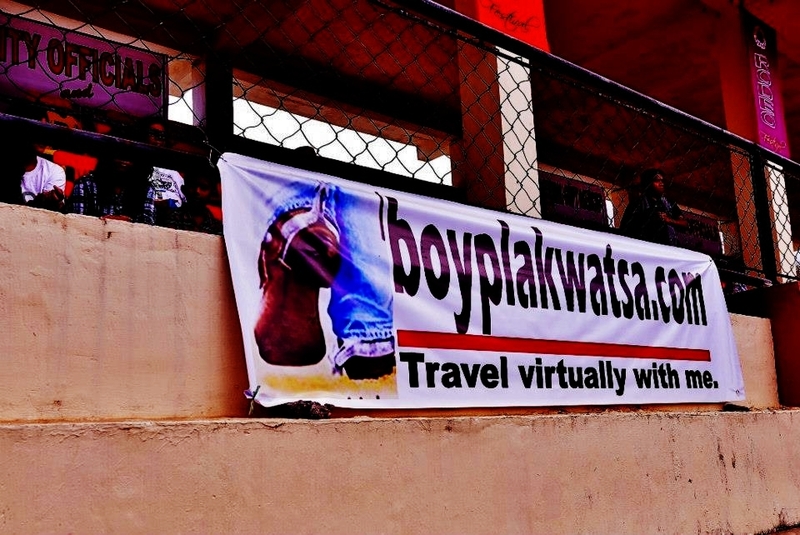 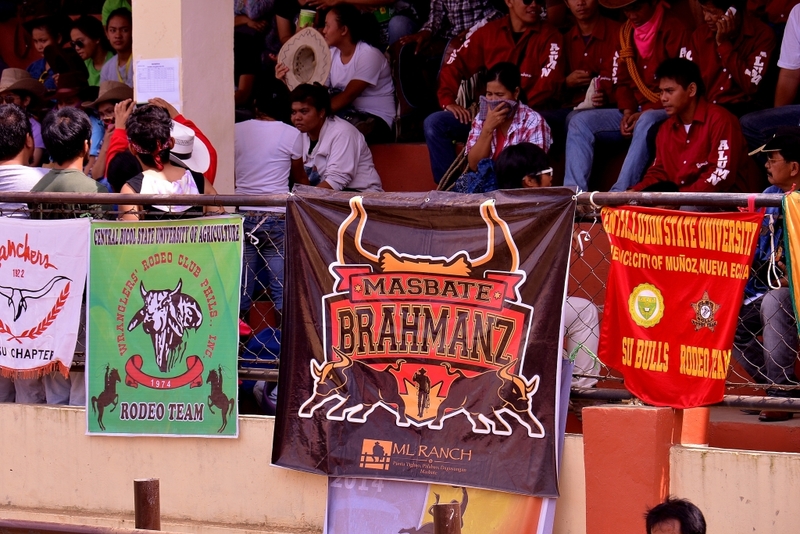 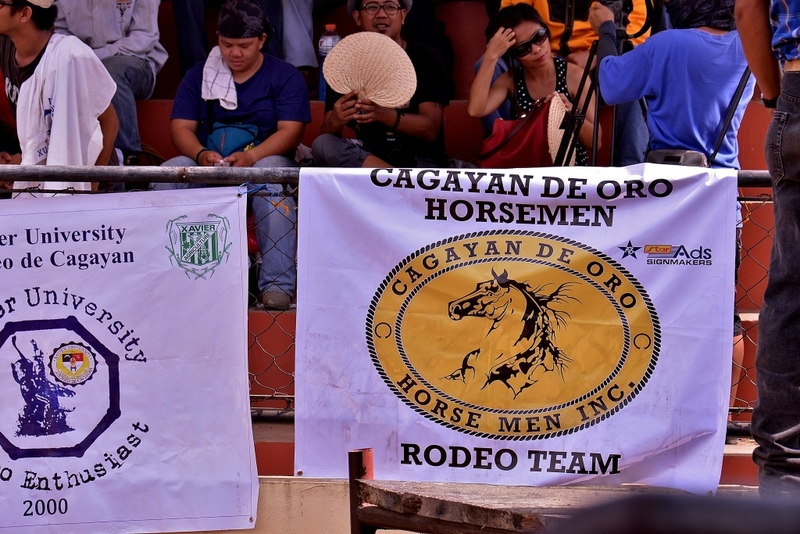 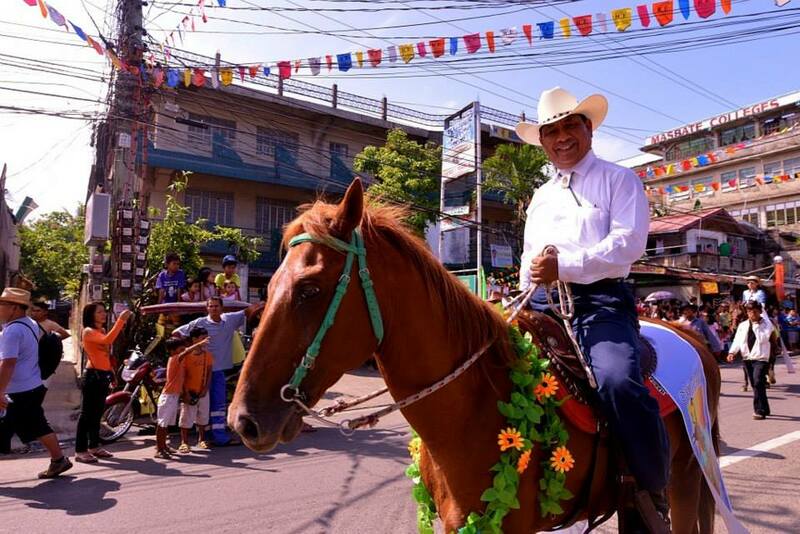 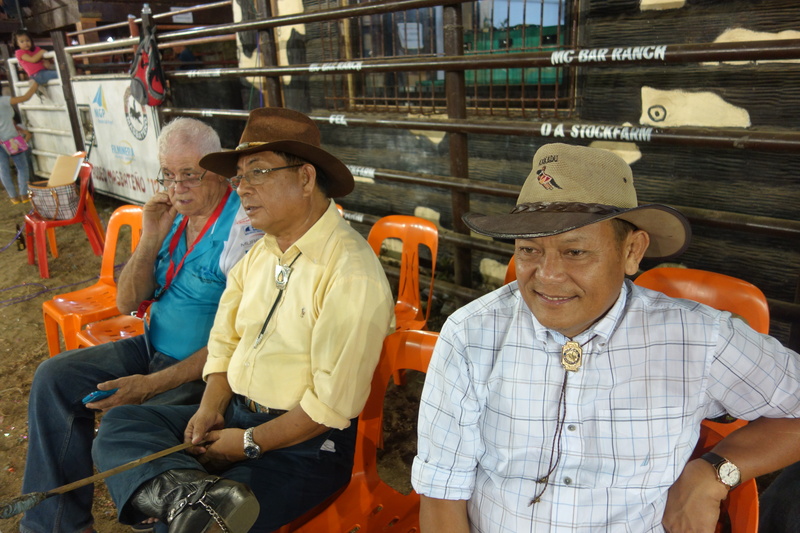 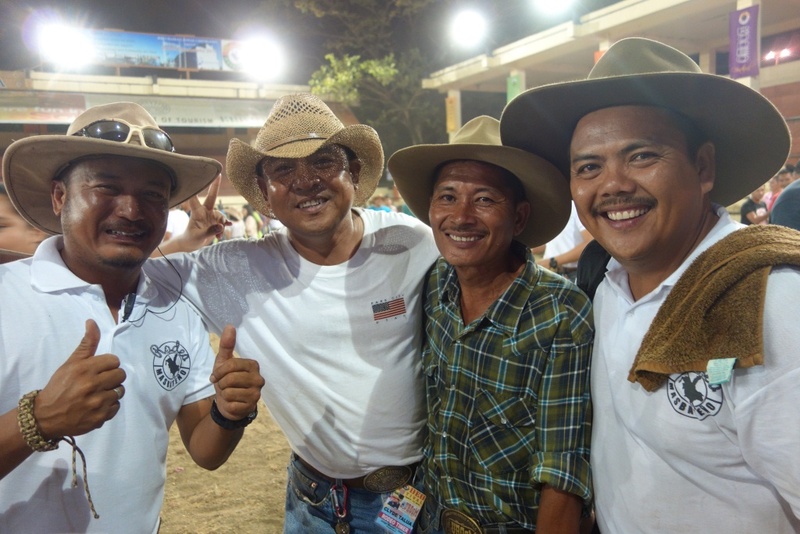 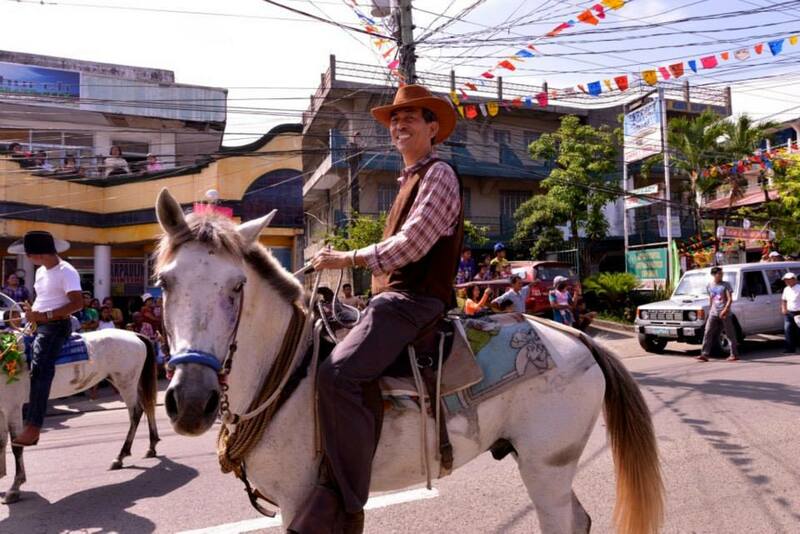 I went to Masbate to attend the National Rodeo Finals for the second time, this time making sure I witness the whole thing – – – from the Grand Parade to the Awards Night. 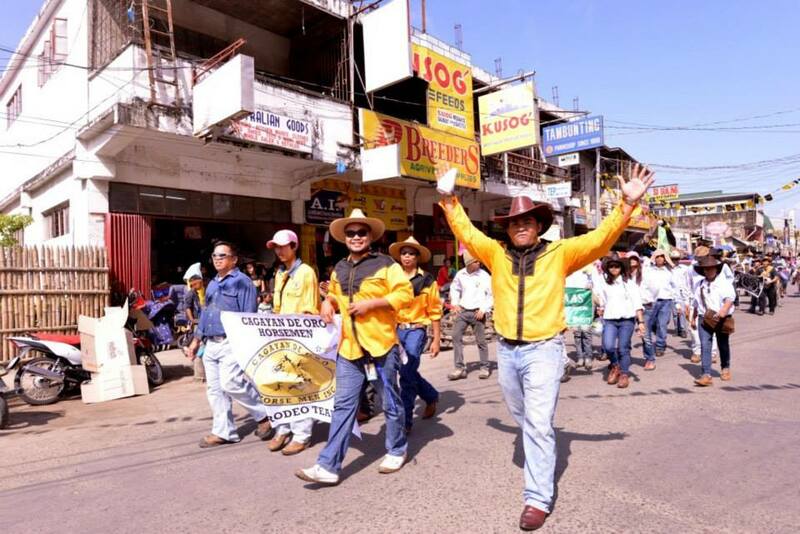 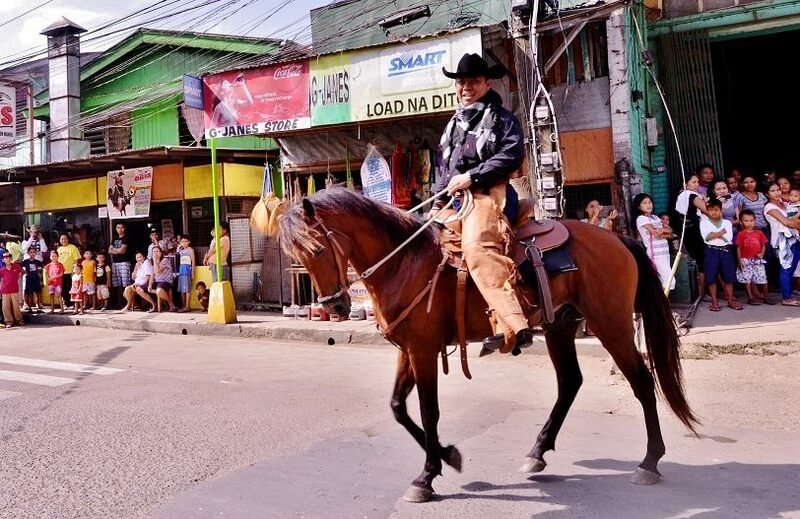 The Grand Parade officially ushers the opening of the competition, starting with the participants from all over the Philippines and the rodeo officials. 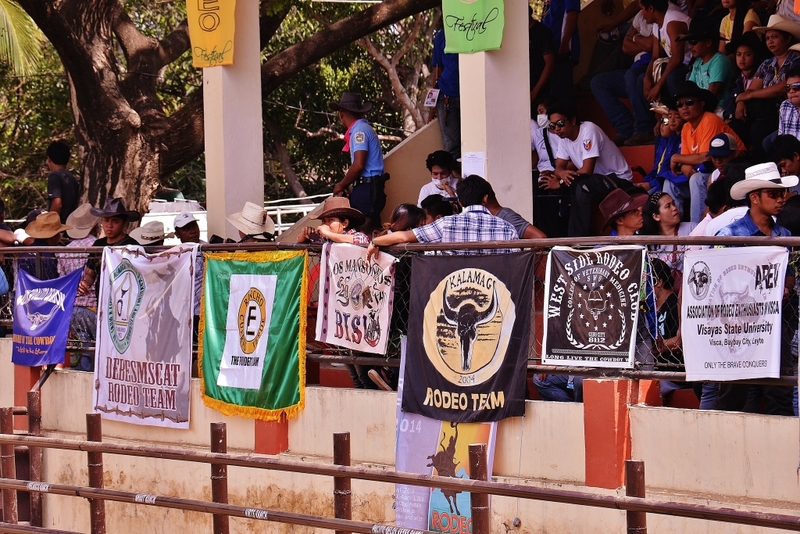 The parade ended at the Rodeo Arena where the opening ceremonies were held as soon as all the participants, officials, and guests were in the arena. 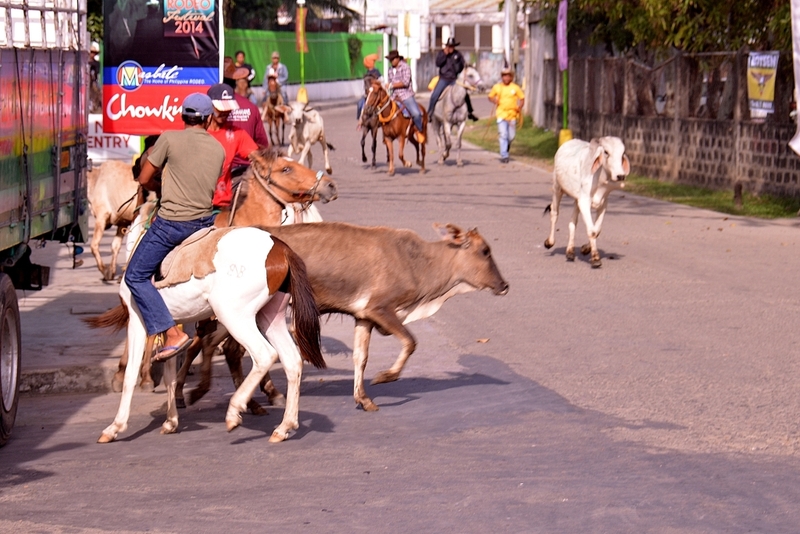 Next day, April 9, was the Cattle Drive. 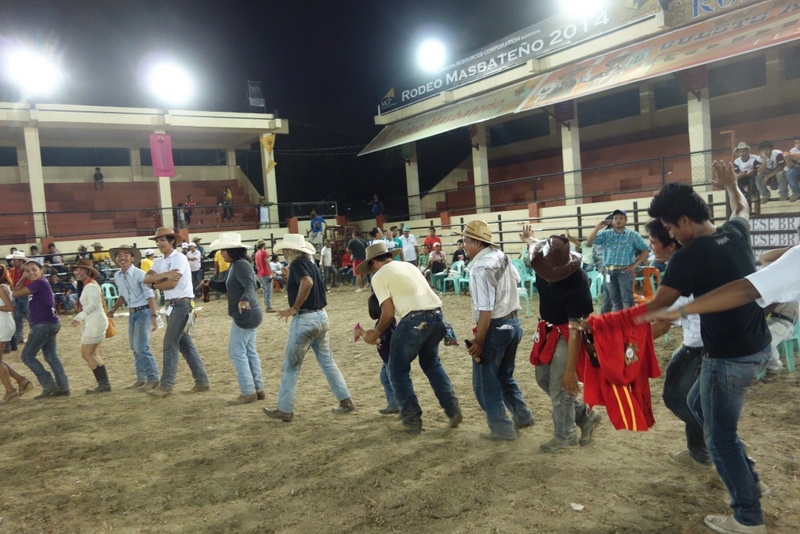 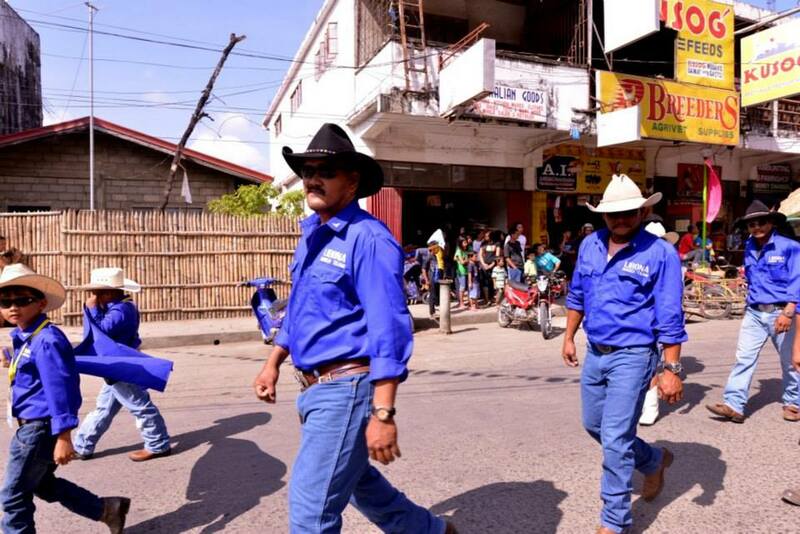 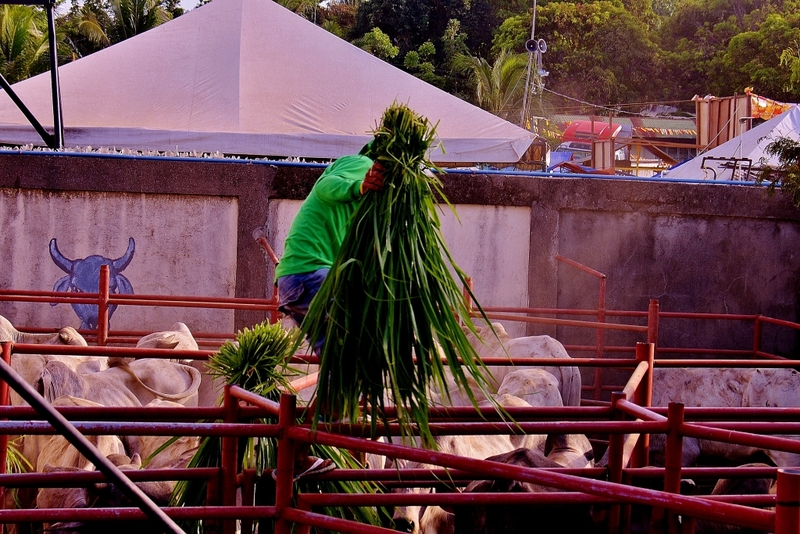 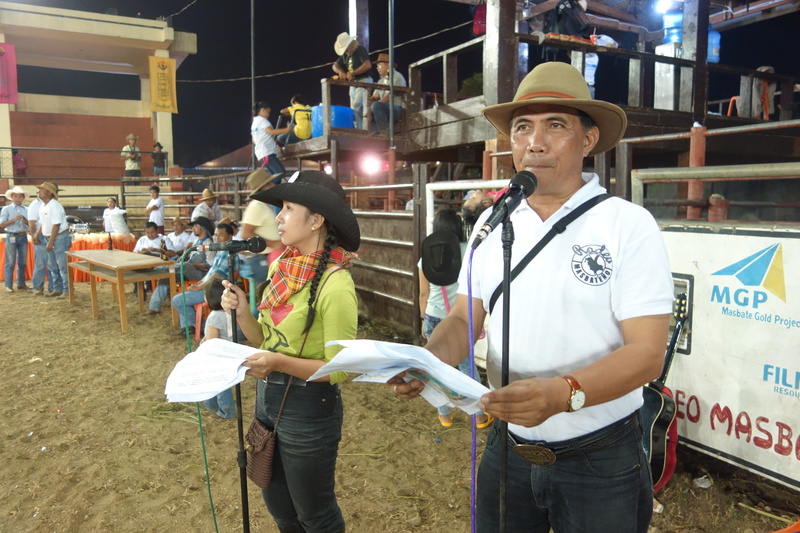 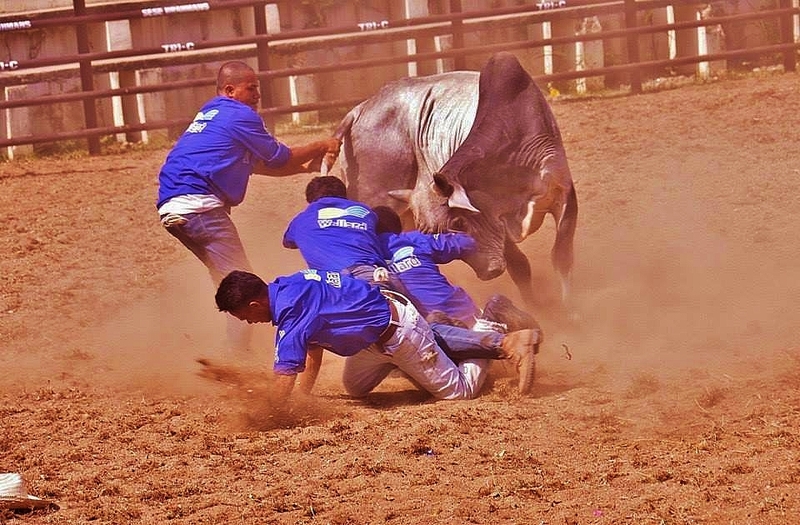 Some 140 heads of cattle were released from the city center , tru the streets of Masbate, to the Rodeo Arena. 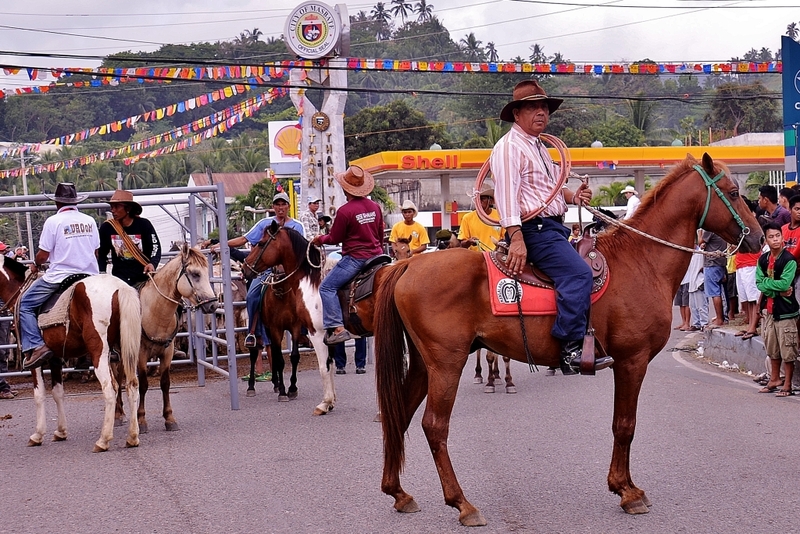 Cowboys on their horses herded the cattle, with some going astray. 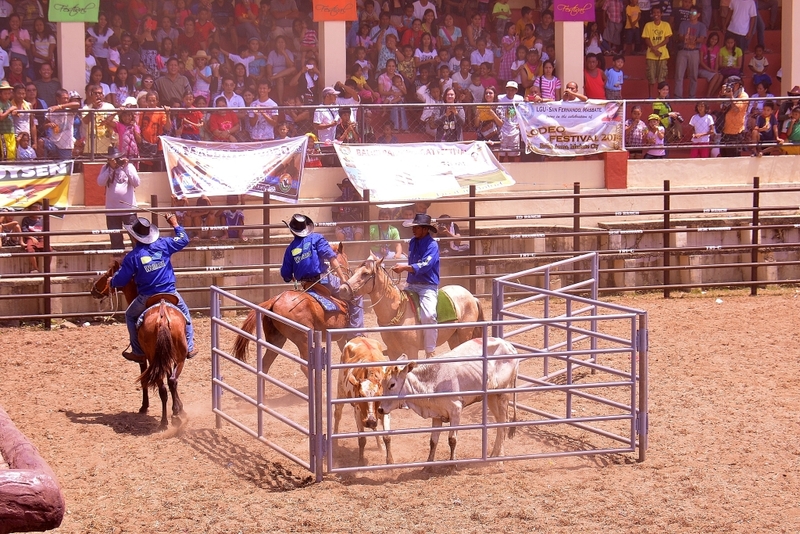 The events organizers have teams of cowboys assigned to handle cattle that will stray from the herd. 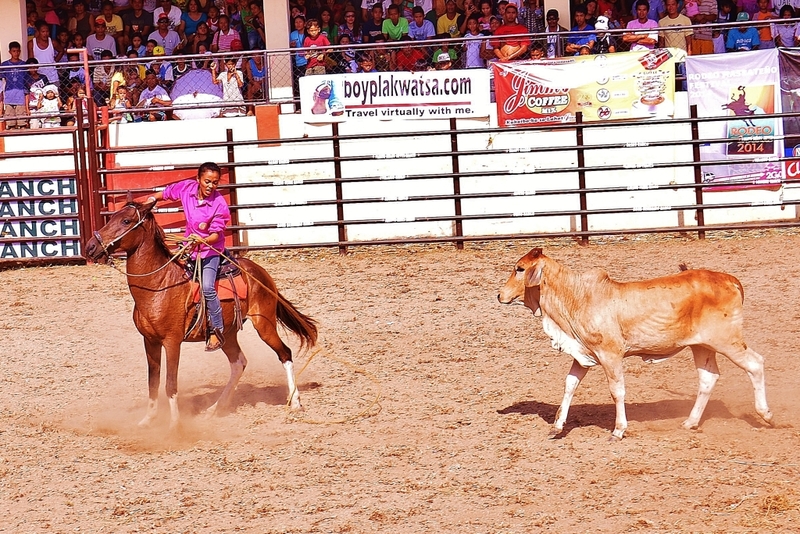 The events consisted of Penning (herding assigned cattle to the pen within 5 minutes), carambola (2 person or 4 person carambola) where cowboys put down a cow and tie them up, Rustling from Horseback, rustling on foot, lassoing, and bullriding. 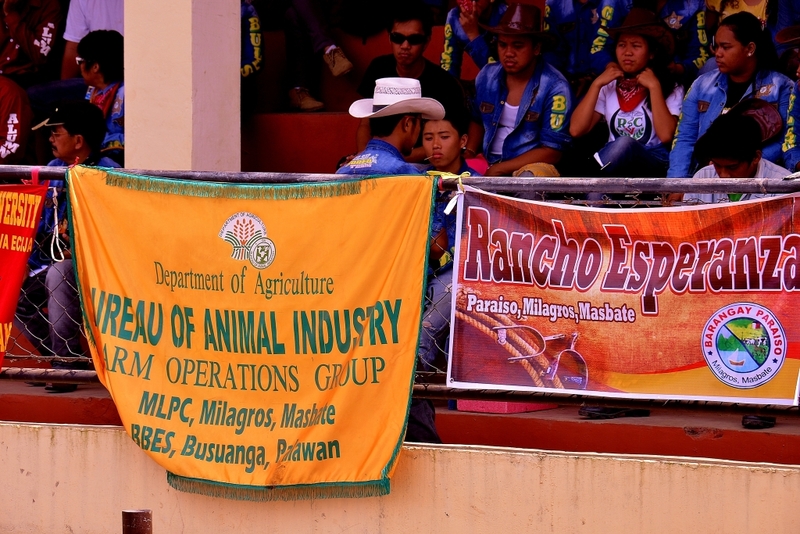 Teams from various schools offering animal husbandry or veterinary medicine from all over the country participated. 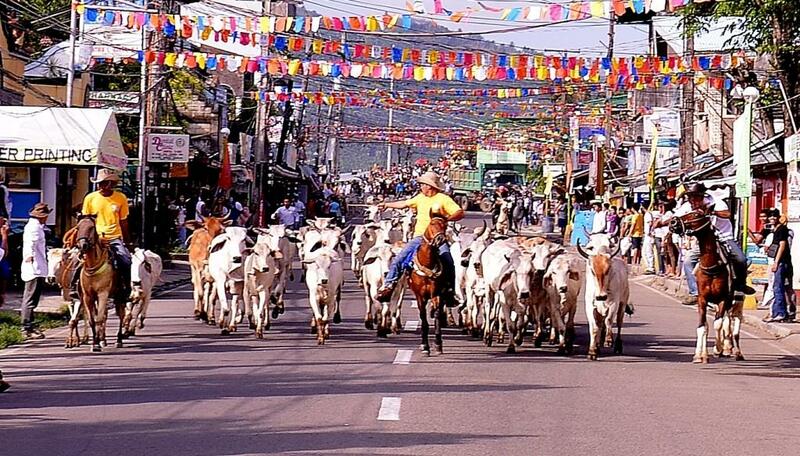 From as far north as Benguet, to the Visayas and Mindanao. 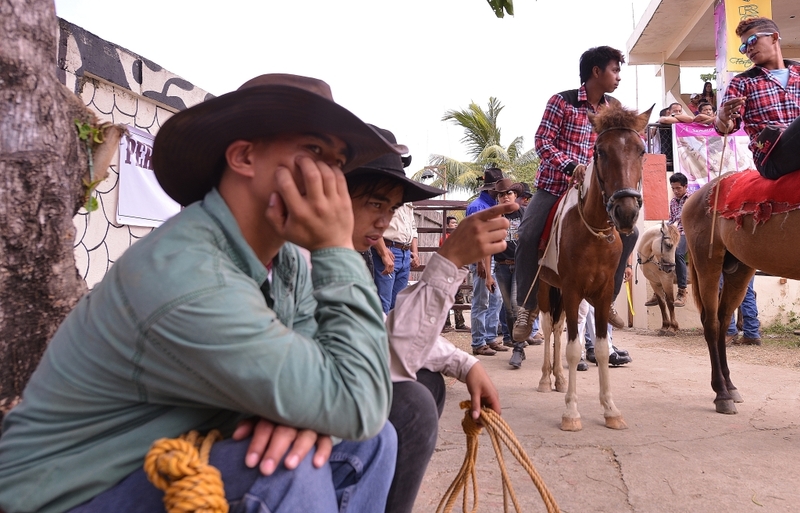 They were joined by professional players, real life cowboys working in ranches. 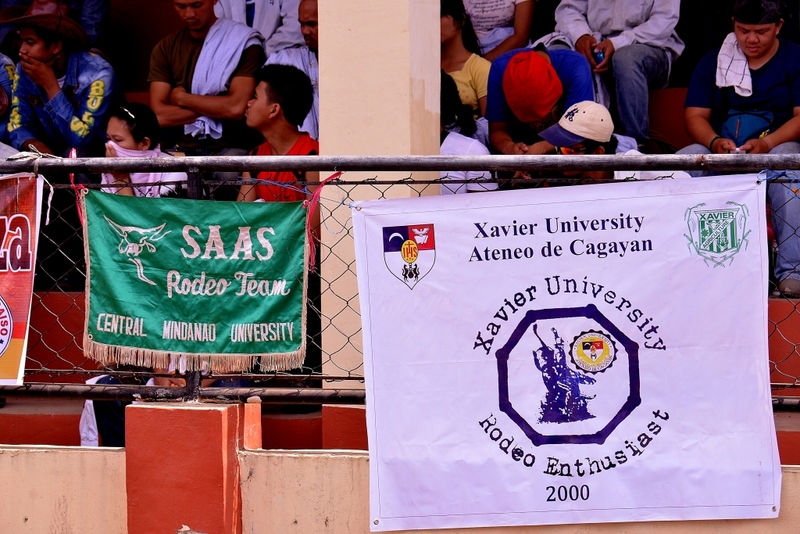 Awarding of individual and team prizes happened on a Saturday night, April 12, 2014. 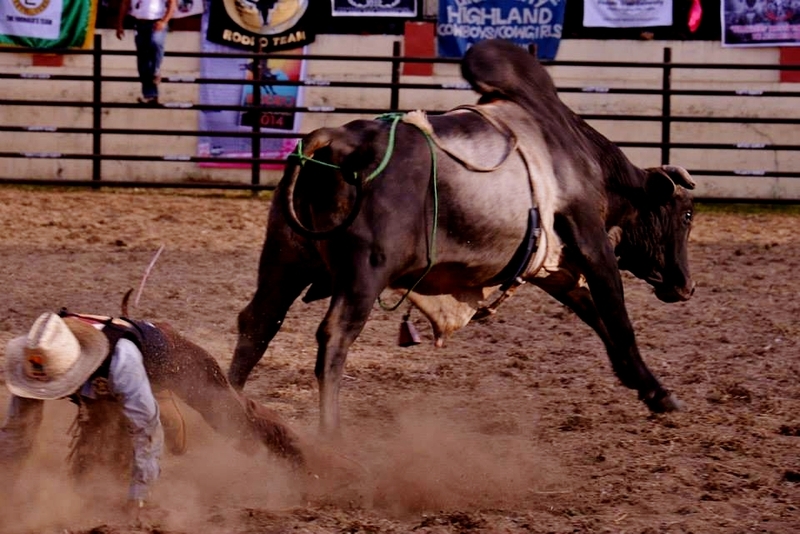 This season roved to be an upset. 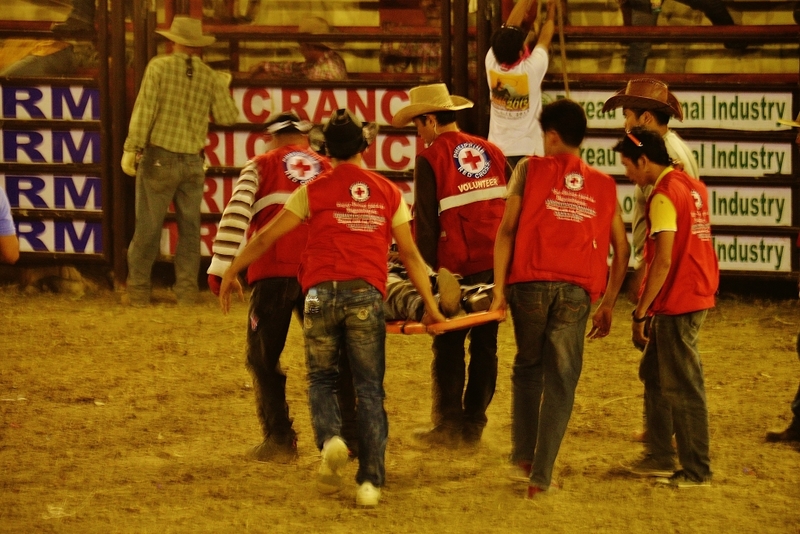 The perrennial Rodeo King, Kenneth was injured early on, and was prevented by doctors from further competitions. 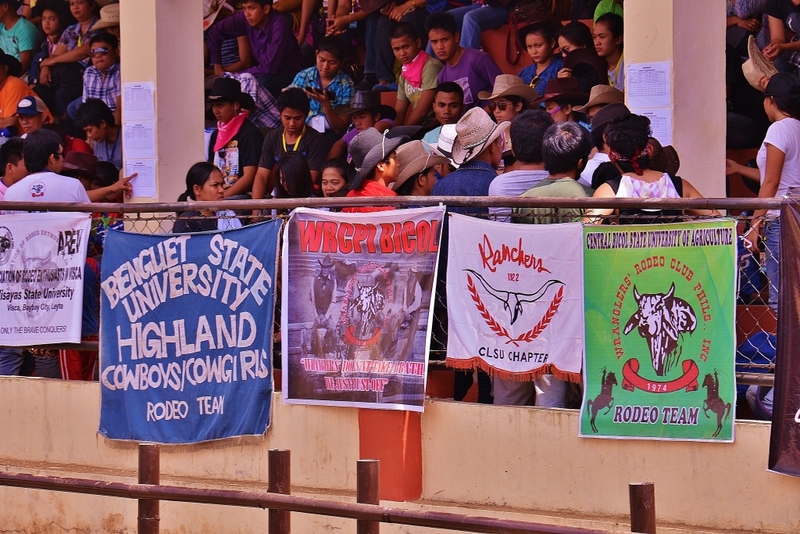 The Rodeo King and Queen, student division, went to Benguet State University and to the Central Mindanao University players, respectively. 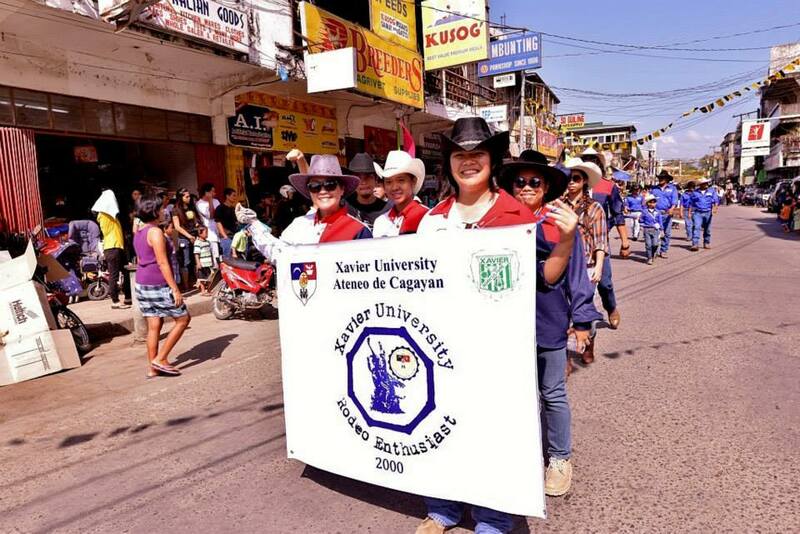 Perrennial team champion Xavier University from Cagayan de Oro was elevated to the Hall of Fame, and this years champion was my favorite Benguet State University. 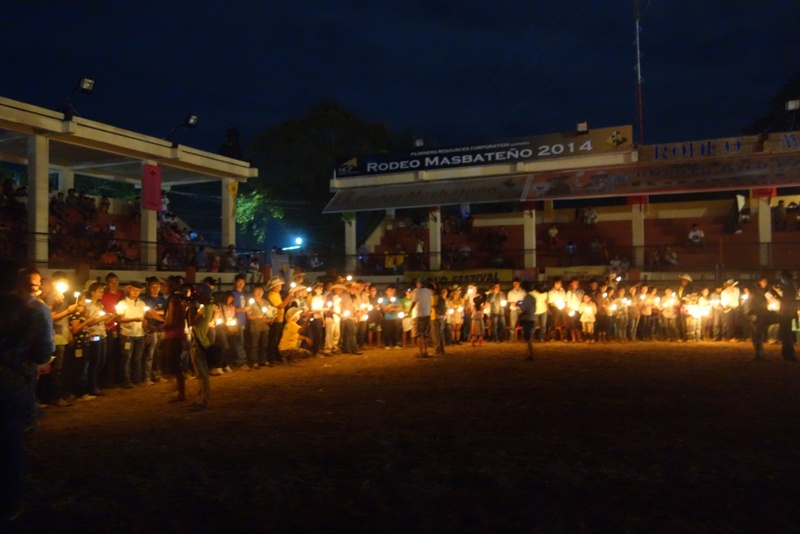 The awarding was preceded by a beautiful ceremony with candles held by everyone lit one by one, and the ritual seemed magical. 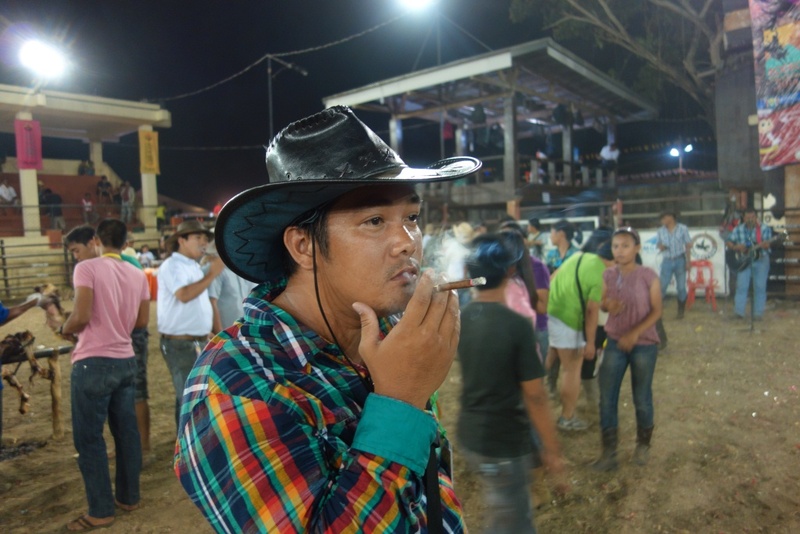 When all the candles were lit, the bonfire was lit ablaze. 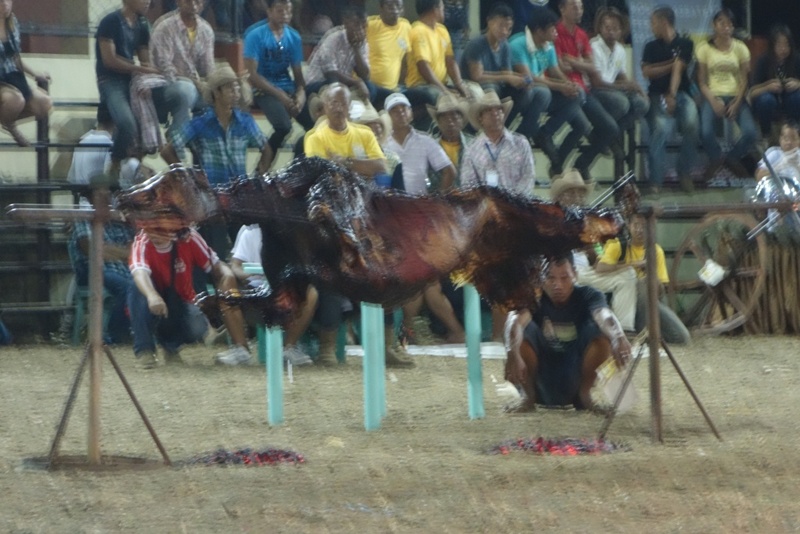 Everyone feasted on catered dinner and a roast calf at the center of the arena. 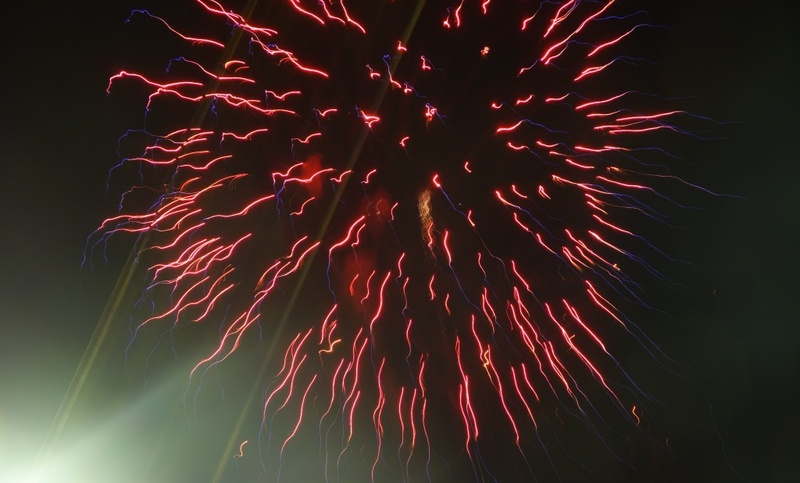 There were fireworks at the start, and beer and dancing at the end. 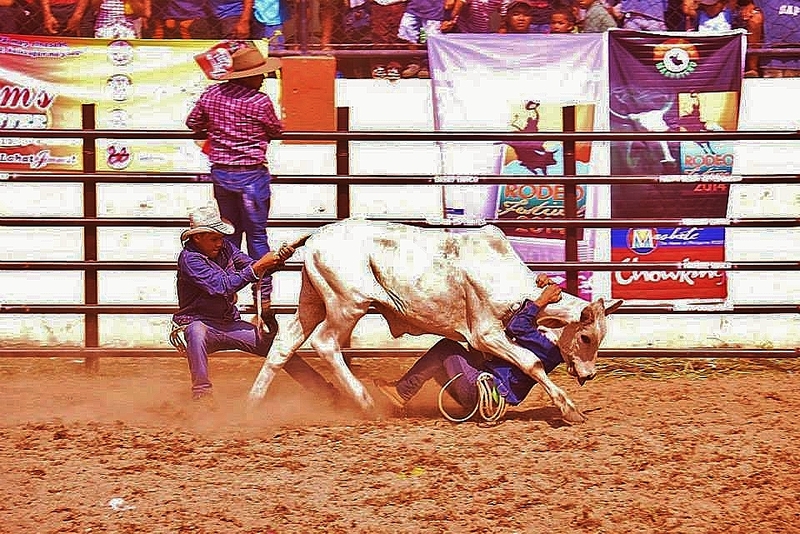 Next year’s rodeo is scheduled April 14-18, 2015. 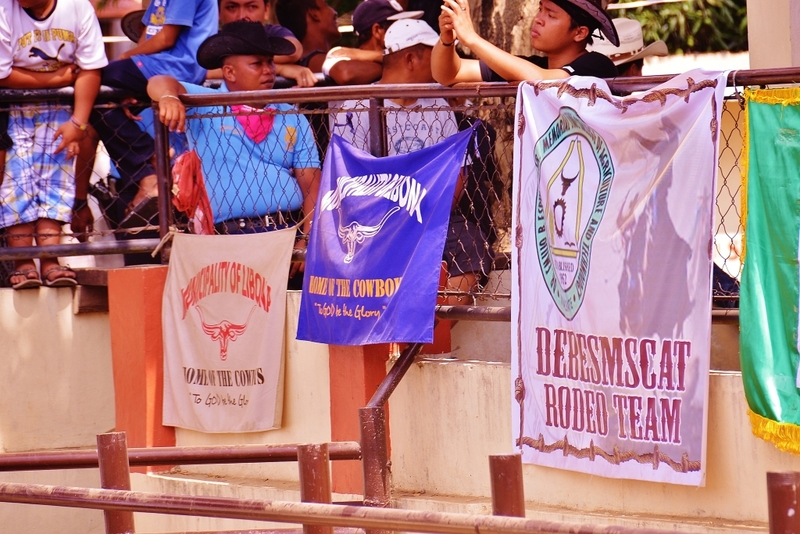 I will again be there.